Nintendo Labo is by far one of the company's most creative projects, despite the fact that its basic components are sheets of cardboard, stickers, string, and grommets. 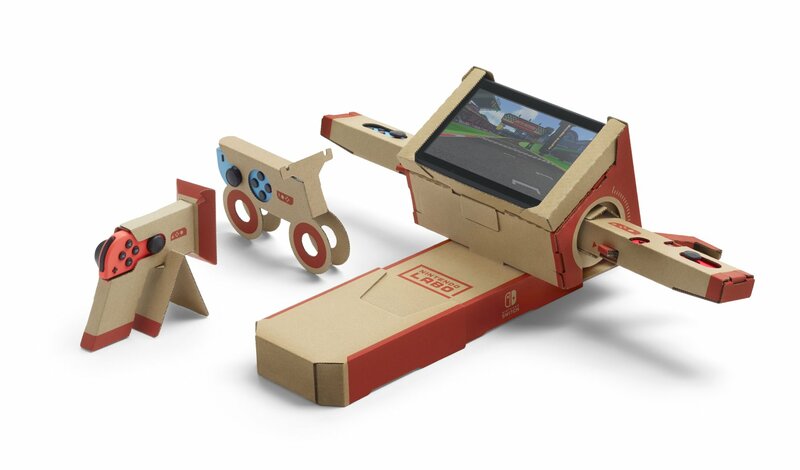 The first set of Labo releases, which saw kids and adults working together to build their own cardboard creations like a piano or a rod and reel, and it sparked a worldwide interest in DIY toys. Unfortunately, the first two kits, which made for an awesome afternoon flying solo or creating fun toys with family, didn't offer much use beyond their first assembly. It's too easy to blaze through building the first two kits, including the robot backpack, disassemble each toy, and then leave the software and components to gather dust. That's why Labo's latest offering, the Vehicle Kit, has something that previous Labo bundles didn't: longevity. 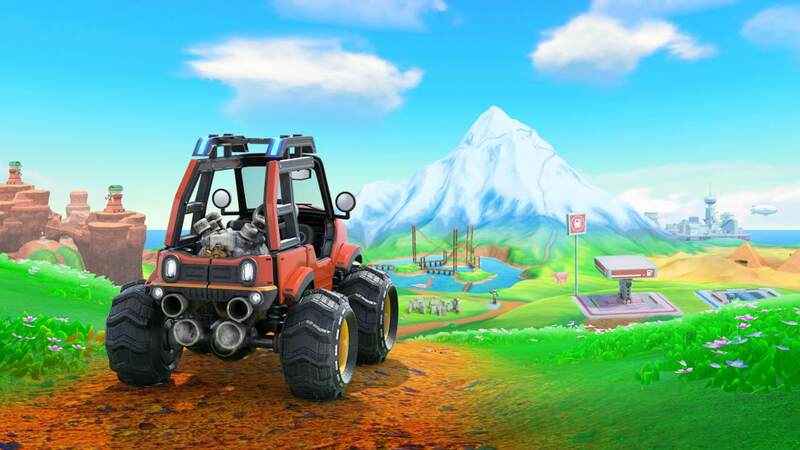 It's a tempting enough prospect to tell potential buyers they can build and drive their own monster truck and peel off into the night on an offloading adventure, but Nintendo goes even further by making the actual building process fun and entertaining, too. Before you can embark on any driving adventures, of course, you've got to put everything together. Using the Switch's interactive instruction videos, you can easily assemble each part in a fairly short amount of time. It helps that I had prior experience with the first two Labo kits, but to be fair it had been a while since I had worked with those particular Toy-Cons. The kit comes with a joystick for a plane, a blue control box for a submarine, a steering wheel for a car, and a foot pedal that you can use to control each vehicle's speed. You can also build a wheel stand for your Switch, Joy-Con keys to "start up" everything but the panel, and other small items needed to bring it all together. Putting together each component is a lot more involved than the original Toy-Con kit, which I had to carve out an entire afternoon for, but Nintendo's helpful tips make it a breeze to get through, even if you're hopeless at following directions or putting things together, like I typically am. This is very much a kit you'll want to take breaks with when involving kids, but adults can definitely breeze through it with dogged determination. It just takes time to get right. You can try out each Toy-Con when you finish it, though, making the building process feel less like a sprint and more like a well-paced marathon. For instance, you can use the pedal on its own to play a quick racing game that doesn't require any additional creations. It's rudimentary, but a good pick-me-up for when you start feeling like this entire building business is more slog than project. When you've got all the pieces built, which includes the painstaking detail required for the steering wheel, it's time to jump into the accompanying game forward. There's plenty of stuff to do, and way more than what was presented in the previous two kits. While there was plenty of intriguing content there, it all felt like a menagerie of tech demos than anything else, where as the Vehicle Kit feels more like a complete package. 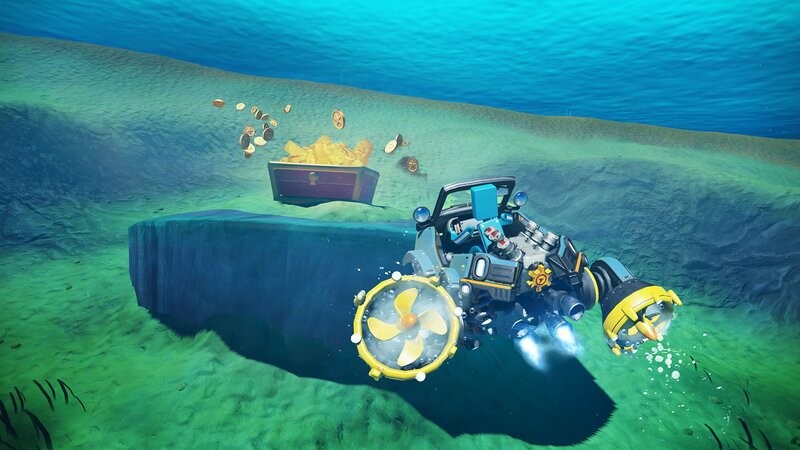 Using your newly-build creations, you can either start with some simple races, or dive into the massive new "Adventure" mode. It's exemplary of everything the Vehicle Kit has to offer, with over 80 challenges, free-roaming, and showcases for each mode of transportation available to you in the game. You can hit the swamp, a futuristic city area, a jungle, and even an area teeming with verdant fields and greenery. You can drive, fly, or dive anywhere you want to go outside of missions if you choose to, which lends a whole new world of replayability to this Toy-Con assemblage, unlike the previous Labo kits. It's insanely satisfying to pilot each vehicle, which have unique setups, but feel incredibly natural and enjoyable once you're behind the wheel. The previously mentioned "key" is even used to a very cool effect here: When you use it in the "ignition," your vehicle transformation occurs in an instant, and lets you shift between modes, such as wings for the plane or wheels for your vehicle. It's fun to just swap between forms, because it really feels like you're putting the key in a "plastic' ignition. The Labo creations you use to bring it all together feel like sturdy arcade peripherals, interesting enough, and there's so much to see you're propelled to want to try each vehicle out and see everything there is to see. The missions can range from fetch quests to light puzzle-solving, but if none of that appeals to you or your friends and little ones, you can just kick back and mess around. It seems simplistic, but it's exactly the kind of thing the first two Labo kits were sorely missing, and it feels like coming home in a way. The Labo Vehicle Kit is simplistic in idea, but absolutely excellent in execution. It's not as deep as other vehicle-based games out there, of course, but it doesn't have to be. With most of the fun that lies in constructing your own Toy-Cons and watching them come to life, Nintendo could have thrown in a rudimentary racer and called it a day. Instead, there's a full-fledged adventure that players can traverse with three different kinds of transportation, and you're able to explore to your heart's content. This review is based on a physical copy provided by the publisher. Nintendo Labo's Vehicle Kit is available now exclusively on Nintendo Switch. The game is rated E.
Intricate and engaging designs for each Toy-Con. Open-world racing with three modes of transportation. Over 80 missions to complete. Substantial amount of content when compared to other Labo kits. Building can be a lengthy process, which may turn off potential buyers.